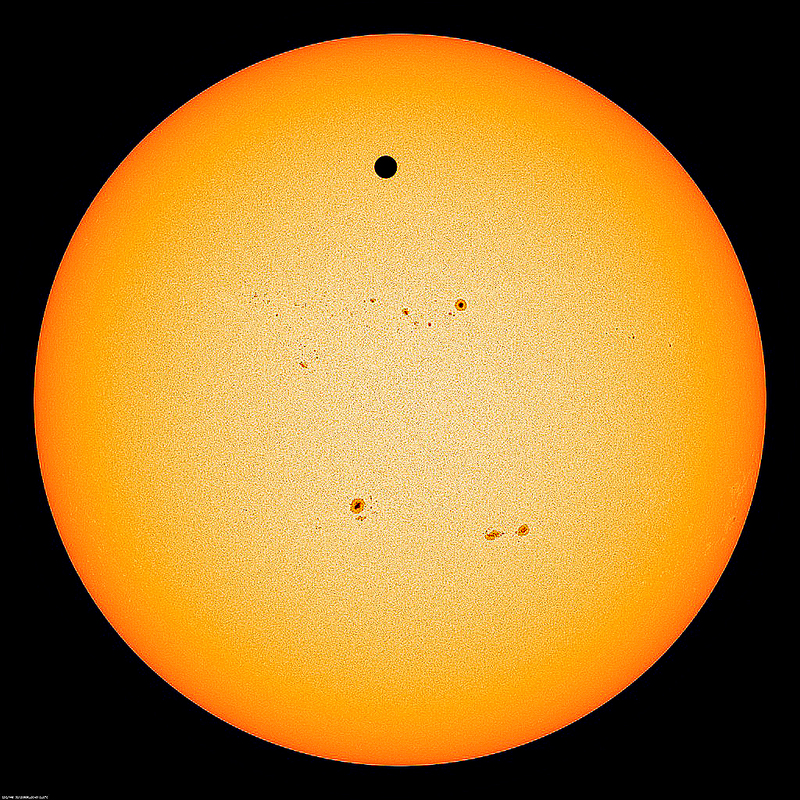 This Month’s “Image of the Month” is courtesy of the Solar Dynamics Observatory 🙂 I stayed up all night downloading the images being sent back to Earth from the orbiting SDO which was capturing possibly the best set of data on the transit of Venus available – and there it was for anyone to see. No need to undergo the hassle of travel to distant places with all your valuable equipment, no need to panic over lousy local weather conditions – a perfect view of the whole event, to be enjoyed in the comfort of your own home. This image is one of over 40 that I collected during the evening of 5-6th June 2012 and was taken around mid-way through the transit. A totally unforgettable experience.